Looking to buy AA Travel Insurance? Our guide covers its stand out points, pros, cons and limitations. Policies cost at least $400+ for a couple for 4 weeks in Europe; our pricing review compares AA Travel Insurance to other popular products offered by AMI, Southern Cross and 1Cover. 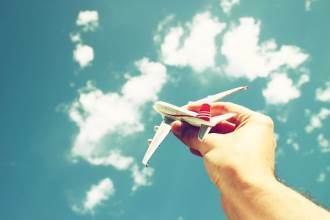 Travel insurance is a major expense on any holiday, but it need not be. There are many companies selling travel insurance, but finding out 'which one is best' is not easy. 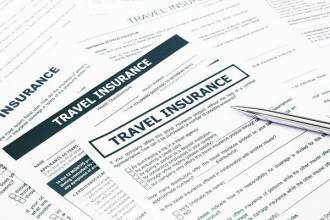 Be aware - many travel insurance policies limit almost EVERYTHING. For example, the maximum cover of individual items is usually $1,500 to $2,500, unless you specify extra cover and pay additional costs. In the table below, we outline the benefits and limits of AA Insurance's Comprehensive plan, and compare it to those offered by 1Cover, AMI and Southern Cross. You can also download it as a PDF here (TBC). ​Cancellation before or during travel - Stuff reported a story where the costs of returning to New Zealand due to the death of a policyholder's mother was not covered, because there is no cover if the event was caused by a "pre-existing medical condition suffered by a Close Relative or any complications directly attributable to those conditions". If you have a sick relative and go on holiday only to get a call to return home, it's unlikely you will be covered for the costs you incur for cancelling a trip or returning earlier. Resumption of Travel - if you are forced to return to New Zealand due to serious Injury, illness, disease or death of a close relative, you won't be covered to resume your travel overseas at a later date if you were away already for more than 50% of your time, or the total trip is less than 14 days in total. This means any policy issued for less than 14 days doesn't include this cover. Allianz, which is a multinational insurer, provides the cover and handles all claims, on behalf of AA Insurance. Allianz is one of the largest insurers in the world - AA simply sells insurance under its own brand, but the policy is 100% underwritten by Allianz. 5. Does Allianz sell other travel insurance in New Zealand? Yes, similar cover is offered by Webjet and ANZ Travel Insurance. 6. Is there 24/7 support, how do I make a claim and how long does it take process a claim? ​Emergency assistance is provided 24 hours/7 days a week by Allianz Global Assistance who operate an international assistance network. Policyholders make a claim via the AA Travel Insurance website. AA makes it clear that claims (except those medical-related), will normally be settled when the traveller returns to New Zealand. This means if you lose an item overseas, have money stolen, experience a flight disruption or any other misfortune that isn't medical, the standard procedure is to asses your claim when you return home. Some are automatically covered, but others are not. Our section on pre-existing (LINK) below explains everything in detail. Yes, if you are an AA member, you automatically qualify for 10% off the total price of the policy. Similar cover is offered by a range of travel insurers, including AMI, Southern Cross and 1Cover. The Comprehensive policy, covering a number of pre-existing conditions, comes with a generous $1,500 per-item limit on personal belongings. The benefits apply to anyone aged up to 99 years of age. The cover and claims are managed by Allianz Insurance who provide 24/7 global support. AA Insurance is a reseller of Allianz's insurance, which is normal in the travel insurance industry. Many other New Zealand travel insurance companies sell the same, or very similar, cover, backed by Allianz. The highest pricing for four of eight sample quotes, and the second highest quotes for three others. AA Members receive a 10% discount on all premiums, but this does not make the prices competitive with other establishes insurers such as Southern Cross and 1Cover, which provide very similar policies at a lower price. Similar cover at half the price? We compared the cover and policy costs to Webjet Insurance, who both use Allianz. Webjet sells similar cover of core benefits (medical, personal liability, personal items, dental etc) for around 40% to 60% of the price of AA Travel Insurance. We base this on a sample quotes for our two 35-year-old travellers visiting the USA, Bali or Europe. AA Travel Insurance is a major player in New Zealand, and offers a level of cover consistent with that of other providers. The usual limitations and stipulations apply. Better prices are available from other providers - we believe those selecting AA Travel Insurance are paying much more than the market average for similar cover. All travel insurers, including AA Insurance, have a good reputation for paying claims, but they are under no obligation to pay you if you lied or withheld information when you applied. To best protect you from a nightmare later on, give your insurer a full description of any or all of your health problems. You may have to buy additional cover for pre-existing conditions, but this protects you should something happen while you're away. The condition does not involve your heart (excluding hypertension), brain, a transplanted organ, renal failure, thinning of the bones. a lung condition (excluding asthma), cancer, an aneurysm, blood or lung clots, insulin--dependent diabetes, major allergic reactions, back problems if you have had spinal surgery; and/or surgery involving any joints. Even if you do not seek cover for pre-existing medical conditions, they must be disclosed as part of AA Travel Insurance's non-disclosure policy. If AA Travel Insurance decides to cover you, you will be charged an additional premium and written confirmation of extending cover will be issued. It's important to have this with you when you travel. Advance purchase: If, for example, you buy the policy 6 months in advance before your trip, and then later, leading up to your departure, you have treatment for a medical condition that arises, you will need to notify AA Insurance immediately to see if you will be covered for any related-medical expenses overseas. If you plan to go beyond the beaten path and hire a scooter without a helmet, go off-piste skiing or do anything else considered adventurous, check that AA Travel Insurance covers it. If it doesn't, you will be uninsured if anything goes wrong. It's best to behave with caution, and be responsible. If you go out at night and lose your bag while intoxicated, AA Travel Insurance won't cover you. It’s important to have common sense when it comes to alcohol and travel. If you are going to go wine tasting, don’t drive your rental car until you are sober. If you have half a bottle of wine at lunch and then go skiing, you may invalidate your policy. Yes - dependent children under 21 years are covered at no additional charge. Does AA Travel Insurance cover lost, stolen or damaged luggage? Yes - up to a maximum of $30,000 and $1,500 per item. Does AA Travel Insurance cover cancellation fees? Yes - unlimited cover is provided for loss of deposits and cancellation of any journey paid in full. But, there are exceptions, and you will need to purchase a policy BEFORE you make any bookings to ensure they are covered. Yes - AA Travel Insurance offers excesses in $200 and $100 - choosing a $100 excess means the overall policy cost increases slightly. Yes - AA Travel Insurance covers cruises. Yes - but only if you stick to on-piste on a regular ski field, and the activity is non-competitive. No - this is a standard exclusion. The same applies to any airline, transport provider, travel agent, or wholesaler. Yes - but you must live in New Zealand. AA Travel Insurance does not specify that policyholders must be New Zealand residents or citizens. A motobike or scooter with a 200cc engine is the limit. To be insured, you must wear a helmet at all times. Does AA Travel Insurance cover rental vehicle excess? Yes - both the Comprehensive and Essentials policies cover you for the insurance excess you are required to pay, as a result of loss or damage to a rental vehicle you have hired, up to $5,000 (Essentials) and $6,000 (Comprehensive). This means you can avoid paying for 'excess protection' or 'excess reduction' insurance when you rent a car, as long as you're comfortable putting a hold on your credit card. Where is AA Travel Insurance based? AA Travel Insurance's head office is in Auckland. 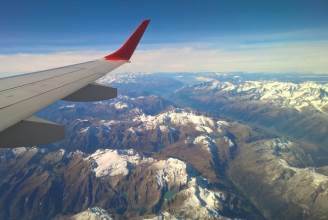 What is the best way to buy an AA Travel Insurance policy?